A New London police officer has been charged with hitting a man in the face while he was in police custody, according to the Office of the Chief State's Attorney. 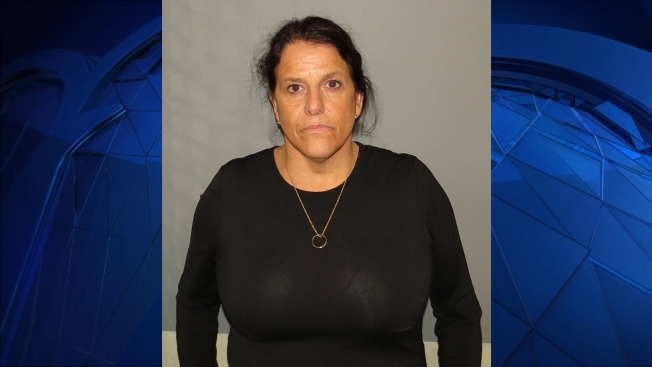 The Office of the Chief State’s Attorney confirmed that 50-year-old Deana Nott of Waterford was arrested Monday and charged with third-degree assault. Officials allege that while on-duty as a New London police officer on June 22, 2016, Nott hit a male prisoner in the face with a closed fist while he was sitting handcuffed in the back of a cruiser. According to the arrest warrant, the incident began when police were called to a domestic dispute. Police said that the suspect, identified as 37-year-old Adonis Smith, was resisting arrest. The warrant states that Nott hit Smith when he was placed in the back of a police cruiser, and that the incident was all captured on video. According to the warrant, the video showed that Smith was handcuffed with his hands behind his back during the interaction and when Nott struck he cursed at her, at which point Nott told him to "cry about it." Smith suffered a cut to his lower lip and declined medical treatment after the incident. The arrest warrant states that Smith told police he was “hyped up” when police arrived because he’d had a fight, but claimed he was not aggressive and he did not believe his conduct amounted to resisting arrest. Smith said that when he arrived at the police department he told the supervisor he was punched by an officer and was offered medical attention, but denied being asked if he wanted to make a complaint. Smith never filed a complaint with a police department. He was ultimately charged with interfering with an officer, third-degree assault and breach of peace. He was convicted and sentenced to one year in prison, suspended after six months. Officer Nott was released on a promise to appear and is due in court on Feb. 1. "The City has a policy of not commenting on criminal matters involving its employees. The underlying incident was investigated pursuant to the Police Department General Duty Manual, a pre-disciplinary hearing was held with all parties represented and discipline was issued and served in this incident. The City is prepared to fully cooperate with the State’s Attorney’s Office."